Jtn2002 is a 32 year old college math teacher in Lakeland, FL. When he's not swimming in a sea of numbers, he is usually watching game shows or planning his next convention trip. "99.6 - The Next Degree"
Jtn2002's main show is "99.6 - The Next Degree". You should have no expectations of what he'll play as his musical tastes encompass every genre imaginable, just not a lot of rap, hip hop, or country. Early in, he will interrupt his show to bring you the GKOL sponsored "Rollover News" with all sorts of information related to the Kingdom. On this show, he puts the power in the hands of the listeners. Some call him crazy for doing this, but he doesn't particularly care. How do you take hold of this power? There’s this mysterious number called the tomato count. He’ll announce the exact number early in the show, periodically if new people join in, or if it changes due to a song being "tomatoed". To take a song off the air, or as we say, kill a song; you must send him that many tomatoes, it’s that easy. Make sure you send them without packaging (if possible) and mention the song you’re killing in the kmail so that his records can be kept straight. Possessed tomatoes can bring a song bank; and the "revived" song can also be re-killed. More information on that will be mentioned on the show should it happen. "Revenge of the Killer Tomatoes"
... where JTN gets the last laugh. Jtn also tracks the songs that have met their demise at the hands of the vile vegetable and waits for the playlist to reach 3 hours. The following week's show will become his chance for revenge and prizes galore! All tomatoes will be sold (either in his mall or autosold if nobody buys) and the entire coffer of the prize multi will go towards a fabulous prize. You must be listening to the entire show as he will provide clues on air to a question at the end for the prize. A history of the tomatoed songs are available with the Rollover News. Prizes have ranged from a Mr. Accessory Jr. to 100,000,000 meat! The longer the show, typically, the larger the prize. The catch is that you must listen to the whole show to have a chance of winning. 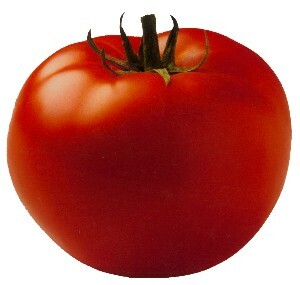 If a show is "tomato free", this will be the name of the show, and an announcement will be clearly stated. This is usually because the show has a theme of sorts or something else is going on where tomato season cannot be opened as normal. 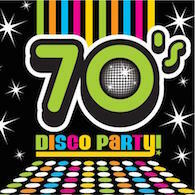 Jtn's lost Friday afternoon show is a three hour block of classics from the 70s, ending with an hour of pure disco! No tomatoes on this show, and this show may return to the air eventually; but it is cancelled at this point. For requests, please send a green message with artist and title to jtn2002. If he doesn't have the song, e-mail it in mp3 format to kol.dj.jtn@gmail.com. Jtn asks that you send all donations to Ed Gruberman (#1894950), lest you receive a Boot to the Head. Contests are done through green messages (K-mail) only.